This print was designed to inject a little mental health/disability positivity into your day! Sometimes it's tough not to feel judged for taking daily medication, but it's more than okay to make an effort to be the best you that you can be! I believe in you! This print was designed with my own mental health experiences in mind, but is supposed to be a beacon of hope and affirmation to anyone who may need it! 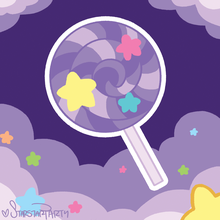 I am Starstar Party and I'm in the business of making cute art for cute people! !